As last year, I've again registered for the Oxford ride. How do you go about joining the forum team? God I hate their website. I think I have found it the ride and the team appear to be different things so, you can register for a ride and join a different team. To join the forum team find the forum DGR page https://www.gentlemansride.com/team/bsaaa0forum and press the ‘join our team’ button. I then checked on the dashboard page that the ride and the team looked OK. I think I might have joined the team but I'm not quite sure. I also think we pretty comprehensively disliked the web site on previous years, but given that it was all for charity we would forgive them using students to put it together. I still only see 4 of us. It took me a few goes to get into the team. Keep trying till you see your name on the team page. I'd imagine they use a web hosting company for the site. Like forum sites there's some brilliant (like this one) and others you give up on due to difficult navigation. I persevere only because of the Cause. My nephew committed suicide at the age of 26. Hi Musky, when I tried to register with the forum it wanted me to register again (I have already retested with Busselton) is that what you did? OK - I tried gain. I'm not appearing there yet, maybe it doesn't update in real time? To join the ride team you must first be registered individually. 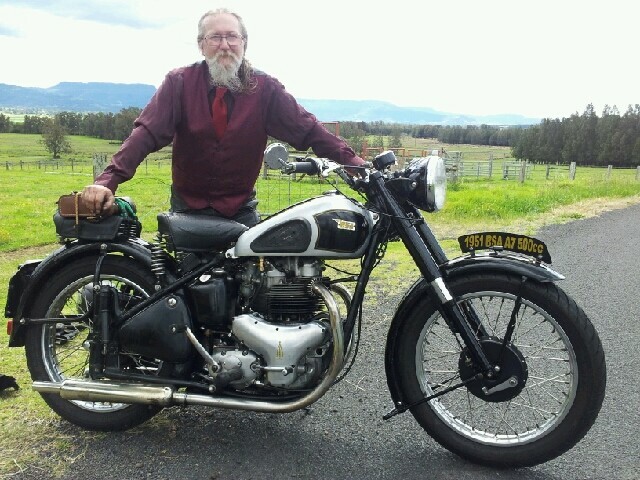 On the www.gentlemansride.com home page, click "Register Now". After registered, hit "Menu" at the upper left. Search for "forum" ride team. Once found, click "Join Now". I can see five of you happy folks with pictures. I'm listed underneath with their std log. Maybe I'm in now? I can see Seven of us happy folk.... so you must be in! Well done and welcome aboard. To join the ride... hit "Menu" at the upper left. Search for "forum" ride team. Once found, click "Join Now". Just realized that "upper left" for Menu is on the mobile device page. On a PC (can't speak for Apple), just hit the magnifying glass at the top of the page and search "Forum". Good afternoon fellow mental pieces , just signed up for the Liverpool ride but for the life of me I can't find or get on team one , I've only just got signed in on the Liverpool ride after 5 days of trying, there site does my bl**ding head in , was stuck on my previous email address and wouldn't let me pass it until suddenly today up pops "registered last year "and bingo signed up , any further help to get affiliated with our team would be greatly appreciated ,while I go and find a padded ce.. office !!! Jammed up for the next hour or so, but some time after that I could create a screen shot video of all the moves.